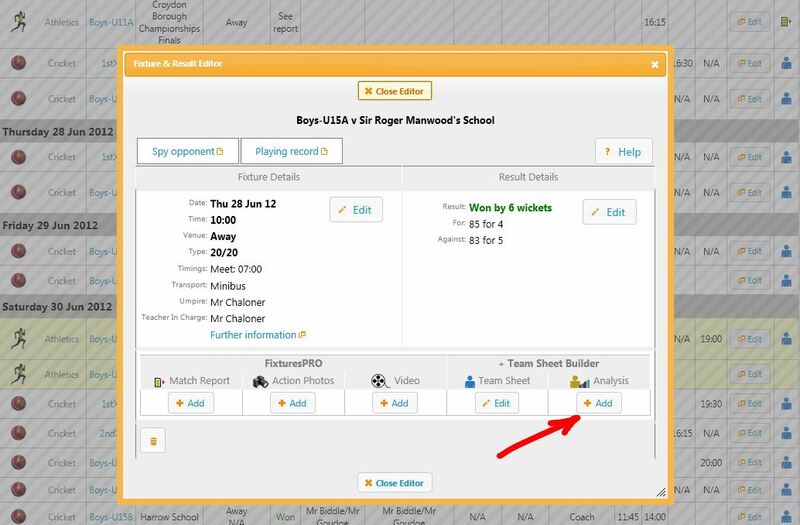 Participation and Performance reports are generated automatically from your sports, teams and fixtures which have team sheets. Note: Participation and Performance analysis is only active after a fixture has taken place and if a Team Sheet has been added to the fixture. It is recommended that you use participation and performance analysis for every sport, team and fixture as the reports will then provide a complete view of pupil participation (and non-participation) and across all sports. The location of the analysis button is shown in the screen shot below.